Music in the Round returns to the Studio Theatre at the Crucible on Thursday 1 February for a performance by the Chiaroscuro Quartet, as part of Music in the Round’s World of Strings concert series. Alina Ibragimova (vioin), Pablo Hernan Benedi (violin), Emilie Hornlund (viola), and Claire Thirion (cello) will be performing Beethoven’s String Quartet in C minor Op.18 No.4, Fanny Mendelssohn’s String Quartet in E flat, and Schubery’s String Quartet No 13 in A minor D.804, Rosamunde. The Chiaroscuro Quartet will perform these two contrasting masterpieces – Beethoven’s powerful and urgent, dramatically intense piece, and the more profound, melancholy and lyrical Rosamunde. The music of Fanny Mendelson will showcase the quartet’s technical ability and a composer with intense imagination. 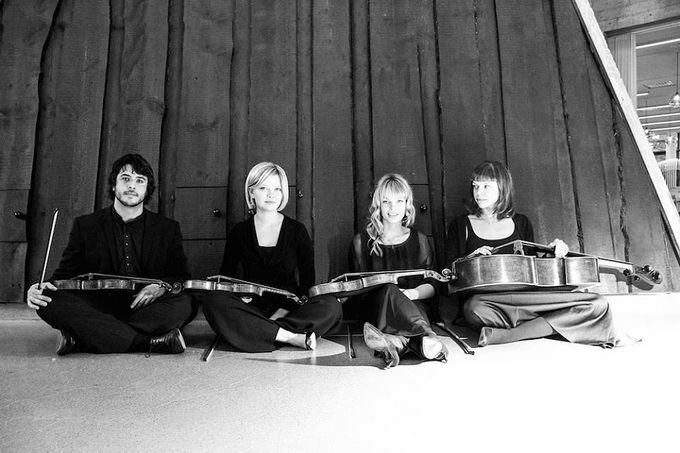 After the show, the Chiaroscuro Quartet will undertake an informal Q&A with the audience. Music in the Round put on a series of concerts throughout the year in Sheffield, featuring some of the best musicians from the UK and beyond. If you have never been before, first timers can buy a ticket for just a fiver, and under 35s also qualify for a £5 ticket, get yours on the Sheffield Theatres website. The concert starts at 7:15pm, see Alive After 5’s food and drink section for inspiration on where to eat before the show.